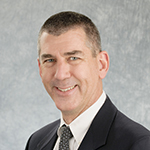 James A. Eastham, MD, FACS, is Professor and Chief of the Urology Service, Department of Surgery, Memorial Sloan- Kettering Cancer Center in New York. Dr. Eastham received his medical degree from the University of Southern California, Los Angeles. He completed an internship in general surgery and a residency in urology at Los Angeles County – University of Southern California Medical Center. He went on to complete a fellowship in urologic oncology at Baylor College of Medicine in Houston, Texas. Prior to his appointment at Memorial Sloan-Kettering Cancer Center, Dr. Eastham was an assistant and associate professor in the Department of Urology at Louisiana State University in Shreveport and Chief of Urology at Overton-Brooks Veterans Administration Medical Center in Louisiana. Dr. Eastham’s research has focused on the prevention and treatment of prostate cancer, with a particular interest in improving oncologic and quality-of-life outcomes after radical prostatectomy. He has authored or co-authored over 200 articles which have appeared in peer-reviewed journals such as the Journal of the American Medical Association, Journal of Urology, the Journal of Clinical Oncology, Urology, and Transplantation. In addition, he has authored numerous book chapters, reviews, monographs, and abstracts. 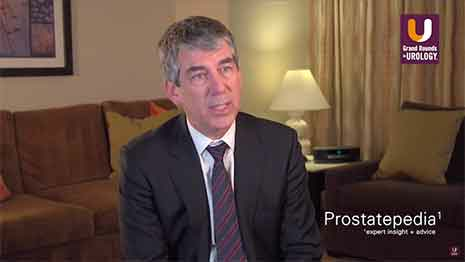 He is a fellow of the American College of Surgeons and a member of several professional societies including the American Urologic Association, the Society of Urologic Oncology, and Societé Internationale D’Urologie. Ask the Expert: Is Photodynamic Therapy Being Combined with Other Therapies? Ask the Expert: Should Photodynamic Therapy Be Used as a Single or Multi-Pronged Treatment Strategy? Ask the Expert: For Which Patients Is Photodynamic Therapy Appropriate?